As part of a Government drive to help fuel poor households reduce their energy bills and bring down carbon emissions, energy suppliers including npower, E.ON and British Gas are offering free grants towards new energy efficient boilers. The Energy Company Obligation – also known as ECO, the free boiler scheme or boiler grants – aims to help an estimated 2.5 million eligible households get a free grant towards a brand new energy saving condensing boiler. Introduced in January 2013, in order to meet the Government’s set carbon emissions targets, energy providers including the ‘Big Six’ must supply and install energy saving boilers to help eligible fuel poor homes lower their energy bills and become more energy efficient. Are the boilers completely free? If you meet the set criteria (that means being on specific benefits with an existing boiler that is old, inefficient or faulty) you will be eligible for a free boiler grant to cover some of the costs of the boiler but in most cases you will be required to make a contribution towards it. So who pays for the scheme? Energy companies, like British Gas, npower and E.ON. They have agreed to contribute annually to fund the scheme until it ends in 2017, although this has been extended further now into 2018 (gas boiler funding however is very limited now). Am I eligible for a Government funded boiler grant? I’m a pensioner and I don’t have any savings. Can I get a boiler grant? Although there are free boiler grants for pensioners as part of the scheme, it’s not enough to be on a pension. You must be in receipt of Pension Guarantee Credit – if you’re not you won’t qualify. How do I apply for a boiler grant? It couldn’t be easier. Hop over to the Boiler Grants website, simply enter your postcode and answer a few questions to find out whether you qualify. Can I choose the boiler make and model? Popular brands installed through the scheme include Baxi, Glow-worm, Ideal, Worcester and Vaillent. But you won’t have a say over the brand or the model. Will the boiler come with a warranty? Yes. A warranty will be provided with your new boiler and could be anything from 1-7 years, depending on the brand and the installer. For example, if a Vaillent approved installer fits a Vaillent boiler it will be backed up by a lengthy 7 year warranty. How long will it take to get a new boiler? It varies. 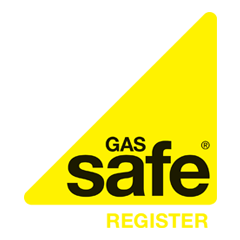 With British Gas you’re looking at a 4 month turnaround from initial contact to survey to installation. Smaller companies tend to have a quicker turnaround of between 8 – 10 weeks.